Damien Duff Newcastle Utd Republic of Ireland signed 11.75x8.25 inch photo. Damien Duff, Newcastle Utd, Republic of Ireland, signed 11.75x8.25 inch photo. 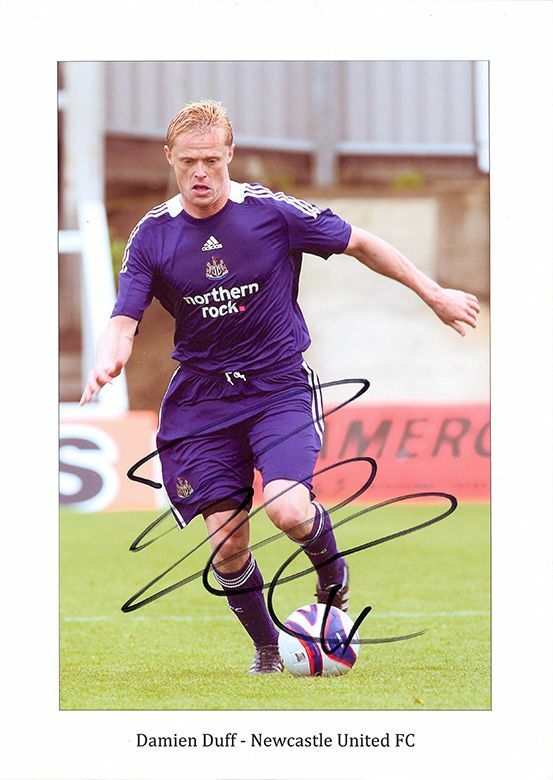 11.75x8.25 inch colour photo personally hand-signed in black sharpie pen by Damien Duff, Newcastle United FC. Duff played as a winger for Newcastle Utd from 2006-2009. He has also played for Blackburn Rovers, Chelsea and Fulham. He was capped 100 times for the Republic of Ireland from 1998-2012.